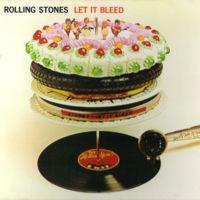 Rock journalism has never recovered from the sixties. Many institutions, such as the eternally sixties-tied Rolling Stone, have never recovered from the romanticized ecstasy of the decade. While future decades produced a greater quantity of great music (the seventies mostly), the highlights of the sixties stand with any other. Here is what this writer finds to be the best 15 albums of this often misunderstood decade. 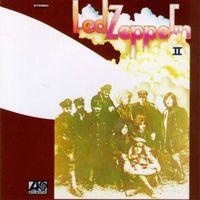 Led Zeppelin II is the blueprint for every heavy metal album to follow it. The album is the band’s first real showing of songwriting, and the songwriting is stellar. Whole Lotta Love (besides the borrowed lines from Willie Dixon) stands as one of the greatest riffs ever written, and Plant contributes some great lyrics to “What Is And What Should Never Be” as well as “Thank You.” This album is one of the bands most consistently great works, which no one would have guessed; the album was recorded in dozens of studios while the band was on tour. Any fan of the legendary Led Zeppelin needs a Vintage 1974 Led Zeppelin Swan Song Tour T-shirt at Amazon.com! S.F. Sorrow was rock opera before the term was coined. While Tommy is widely considered to be the first true rock opera (it certainly was the first successful rock opera), S.F. Sorrow was released a year prior. Despite being neglected all these years, some great treasures are on this album. 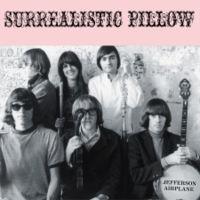 While the story is not as interesting as Tommy’s, it is still quite good, and this album is a must for anyone wanting to hear great music of the sixties that they haven’t heard a million times before. This album is most famous for having Bob Dylan’s biggest song, “Like A Rolling Stone.” However, few if any albums in his catalog are as consistently brilliant as this. 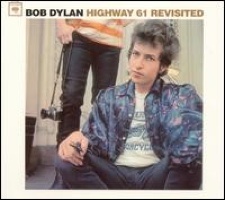 Refining the electric progressions of Bringing It All Back Home, Highway 61 Revisited takes Dylan and his backing band to great places, like the fantastic title track, “It Takes A Lot To Laugh, It Takes A Train To Cry,” “Desolation Row,” and the epic “Ballad Of A Thin Man.” With few exceptions (Blonde On Blonde, Blood On The Tracks, and The Freewheelin’ Bob Dylan), no Dylan album is as famous as Highway. 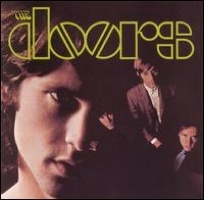 The Doors are the most famous band to emerge from the late sixties psychedelic scene in California. This is in large part due to their self titled debut, which for most people who had never heard of the band Love before had never heard a band like this. Frontman Jim Morrison’s poetic reflections and illusions, whether you like them or not, are as influential lyrically as anything this side of Bob Dylan. The songs are great, too, and “Break On Through,” “Light My Fire,” “Soul Kitchen,” and “The End” rank among rock’s best songs. While modern belief holds Forever Changes at or near the top of the heap of great albums, it really isn’t more than a minor masterpiece. However, it is still a great piece of west coast music, and includes some great unknown songs. 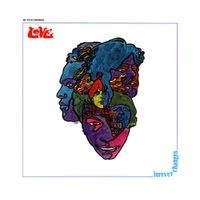 “A House Is Not A Motel” easily could have been a top 5 hit in the hands of the Doors, and the same goes for “The Red Telephone.” What is lost on many modern Love fans that learned of the band through Forever Changes is how much of a change the album was from their trademark sound. The band was heavy, as their two hits “Seven And Seven Is” and “My Little Red Book” attest to, while Forever Changes is mainly acoustic. If you haven’t heard this album yet, which many haven’t, it is well worth your time. While the opinion of this writer is that Sgt. Pepper receives more credit than it rightfully deserves, there is no understating the quality of the songs. 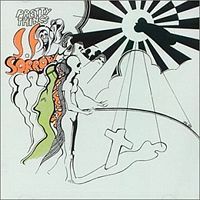 The band never stretched farther for abstraction than on this album, with the highlights all coming out of the proverbial left field. “Lucy In The Sky With Diamonds” is as psychedelic as its acronym, “Within You Without You” was the first successful pop interpretation of eastern music, and few if any of classic rock’s most famed bands came as close to Sinatra as the Beatles did with “When I’m 64.” While the album represents the band at the height of their pretensions, it represents them at the height of their genius as well. 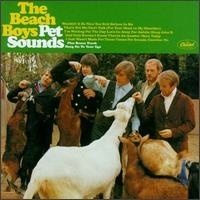 So popular was this album that for many years it overshadowed the band. 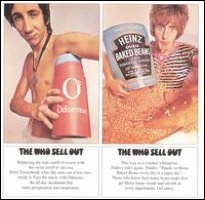 Famously, the Who were billed on several gigs as “Tommy the Who” due to a misunderstanding of the album cover. Regardless, Tommy is a masterstroke of guitarist Pete Townshend, who fully brought his brand of rock music into maturity with this effort. Tommy’s immense influence continues to reappear at times, such as its important role in Cameron Crowe’s “Almost Famous” as fortune teller. While the story may seem a bit strange, which it is, the idea of rock as a serious form of music was never made clearer than on this album. 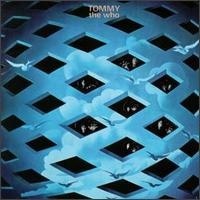 While the Who have had better albums, in many ways Tommy is their most important statement. 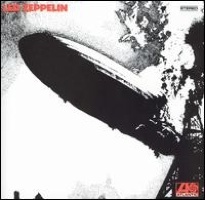 With few exceptions, no album shaped the seventies more than Led Zeppelin’s debut. At first listen, it is instantly better produced and played than almost anything else going on at the time. Blues was never this heavy before, such as “You Shook Me,” “How Many More Times,” and “Dazed And Confused.” And yet, there were lighter touches, such as the beautiful “Black Mountain Side” and “Your Time Is Gonna Come.” Punk rock is even predicted here with the charging “Communication Breakdown.” However, the real triumph of light and shade is “Babe, I’m Gonna Leave You,” which features some of the best vocals ever put to tape. Remember the cries of “Judas” aimed at Dylan’s decision to turn electric? This album was the catalyst. 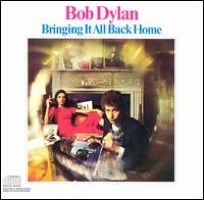 Bringing It All Back Home contains some of Dylan’s best songs, “Subterranean Homesick Blues” and “Maggie’s Farm” for example, as well as some blistering blues guitar from his backing band. Some of the songs date back to as early as the period in which Dylan wrote for Another Side Of Bob Dylan. Such songs include “Mr. Tambourine Man” and “Gates Of Eden.” However, the highlight of the album might be the super-abstract “It’s All Over Now, Baby Blue,” which has inspired everyone from the Beatles to writer Joyce Carol Oates. Sgt. Pepper’s Lonely Hearts Club Band is constantly heralded as the best album of both the sixties, and all time. 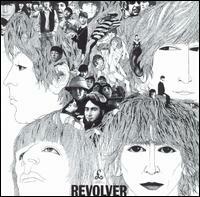 Not only is that not the opinion of this writer, but Revolver holds a more lofty position. Revolver was where all the doors were truly broken down, not on Sgt. Pepper. 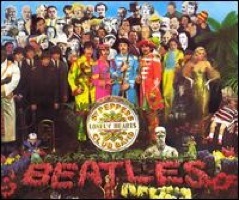 This is where we get our first taste of George Harrison as a real songwriter; his brilliant Taxman opens up the album. But Paul McCartney and John Lennon are also in great shape, bringing some of their best songs to the table. McCartney went into a new level of sophistication with “Eleanor Rigby,” which included nothing but strings playing the melody and his voice; a great departure from the guitar pop/rock they were known for. Lennon not only gave us the mellow “I’m Only Sleeping” (a college anthem for sure), but the absolutely spellbinding “Tomorrow Never Knows” which is every bit as brilliant as “A Day In The Life” is billed to be. By 1967, The Who were stagnating. Despite the success of their early singles, as well as decent showings with both their My Generation and A Quick One LPs, the Who were showing signs that they could not turn a profit. The band were spending money at huge rates, partially due to their tendency to destroy their equipment after live performances, and because they were being ripped off by their first producer, Shel Talmy. In an attempt to right the ship, guitarist Pete Townshend worked on his most connected and intricate batch of songs to date. These songs were connected by a loose concept that paid tribute to pirate radio, as well as mocking the jingles associated with it. Townshend also flipped his ace in the hole, the revolutionary “I Can See For Miles,” which was hailed at the time as being the heaviest song ever written. Once released, sales were less than flattering. Townshend, who expected it to reach the number one spot, famously decreed “To me it was the ultimate Who record yet it didn’t sell. 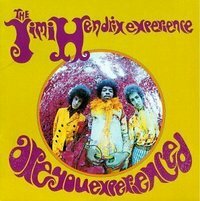 I spat on the British record buyer.” In recent years, the album has become recognized as one of the great albums of the sixties.